It's Great American Clean Up time! We want you to #cleanYourblock! This years theme is "Be the Hero of Your Block" and we would love to get someone registered from EVERY block in town! The weather is getting lovely (on most days) so why not get outside, clean your block and if you want, a few more! Click below to register. ​Please help us continue our mission! Do what you can to Keep Chadron Beautiful! If you would like to donate using a credit card or Paypal account please click on the Donate button on our HOME page. Recycle your name brand printer cartridges through Keep Chadron Beautiful. Have sensitive documents to destroy? Take advantage of our commercial shredder. Primary School Wins the Recycle Bowl! We had a record breaking year again! The kids and community recycled nearly 10,000 pounds during the annual Recycle Bowl Competition. The Primary kids will have another special visit from the CSC Men's Basketball Team when they deliver new basketballs during recess and tickets for a game. We can't thank the team enough, or the school staff that's help the kids break these records!! ​Update! Tickets for the ballgame have been approved. Thanks CSC and Coach Reed!! We'll be attending Saturday, February 10th against Colorado. Go EAGLES!! 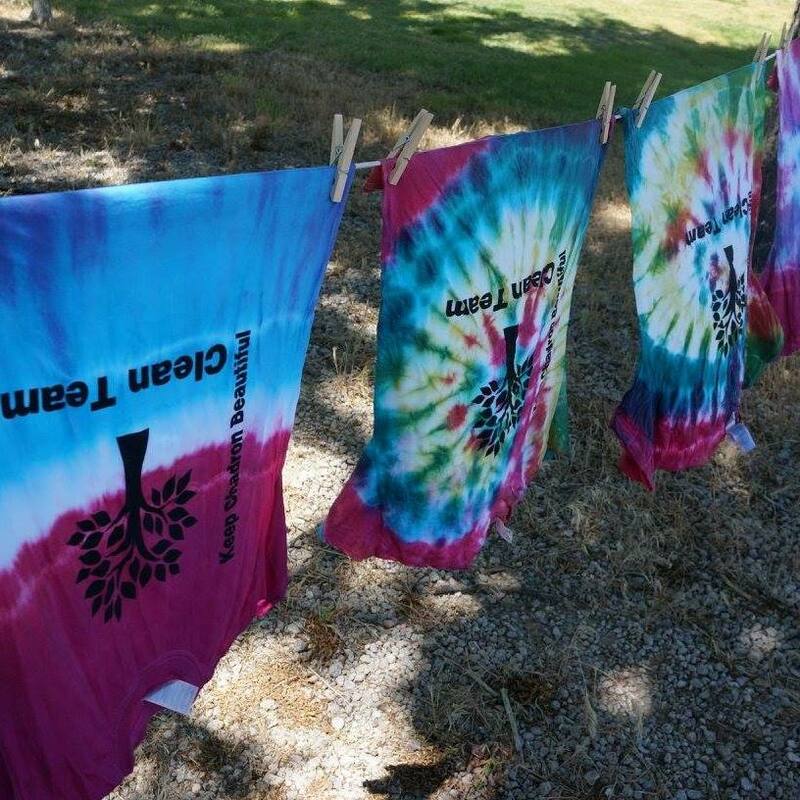 Volunteer this summer with Clean Team!! Free for all school age kids. ​Games, crafts, snacks and fun! ​153 Bordeaux, on June 14th at 10:30 a.m.
Yay! It's finally planting season! ​The students got to plant vegetables this week! There were lots of worms found and tons of lessons about different needs of plants! Thanks Alaska Fertilizer for the fish smelly magic nutrients! Fingers crossed for good weather and green thumbs! Find more pictures on our Facebook Page! ​Ground was broke by a CSC civic engagement class. (Thanks Ru LaGarry for leading that group!) Dirt was delivered (Thanks Jack Rembrant!) There was plotting and planning, shopping and deliveries (Thanks Lisa Derby, Lorna Eliason and family members!) and then came ....... Earth Day Work Day which was a huge success with CSC Big Event students and community members making up the 49 hardworking volunteers who fought off the morning cold and worked through the afternoon, getting the 36 vegetable beds started. Lots of digging, sawing and drilling!!! ​The reinforcements were brought in in the form of Forest Service workers (man they're good with shovels!) They finished off all the raised beds, planted all the perennials and got everything looking beautiful. ​It took 281 volunteer hours, 288 landscape timbers, 288 rebar stakes, 432 screws, 135 cubic feet of topsoil, 20 bags of mulch, 150 landscape staples and countless shovels and tools. ​We've had great help with this project! Thank you: Cornell Lab of Ornithology, Bomgaars, Beyond School Bells and the Afterschool Program, Black Hills Parks and Forests Service Association, CSC, Pine Ridge Job Corps, UCC Women's Group and SeedMoney. The garden will serve as a citizen science lab where students will learn hands on about the life cycle of a seed, understand how an ecosystem takes all kinds of creature to thrive, and make the connection between earth, soil, and their health. ​If you would like to volunteer in the garden this summer please call or text Jacki. 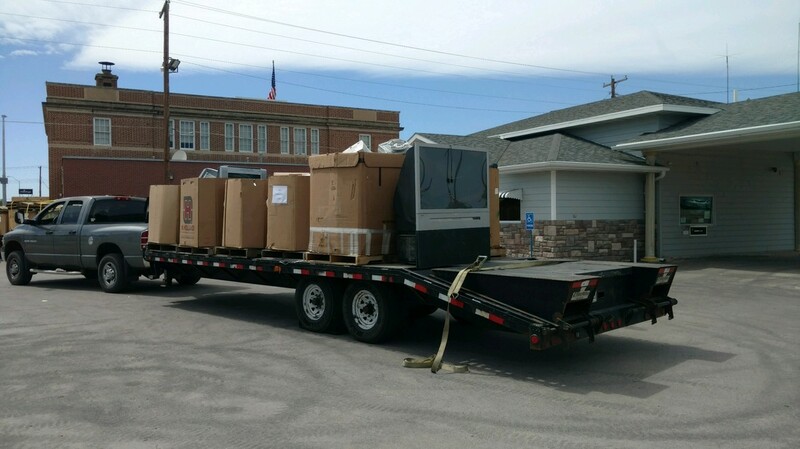 ​Keep Chadron Beautiful hosted our annual electronics recycling event in 2017, made possible by a grant through Nebraska Department of Environmental Quality. The 2018 event is tentatively scheduled for September. Last year we recycled 10,766 pounds. ​The event was once again a great success. A huge thanks to Chadron Federal Credit Union for the space and the Pine Ridge Job Corp Students who volunteered to sort and load the thousands of pounds of recyclables! 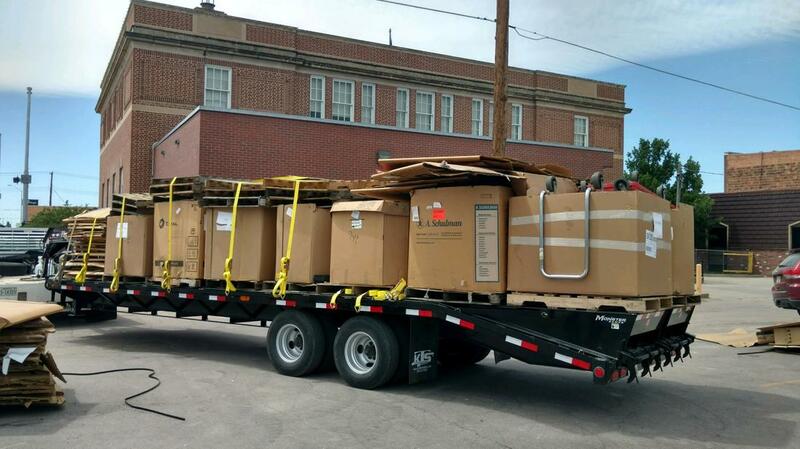 ​During the three hour event, we collected 25 pallets of electronics. Check out these pictures of all the electronics safely disposed.